This is a slight update of the previous homework. 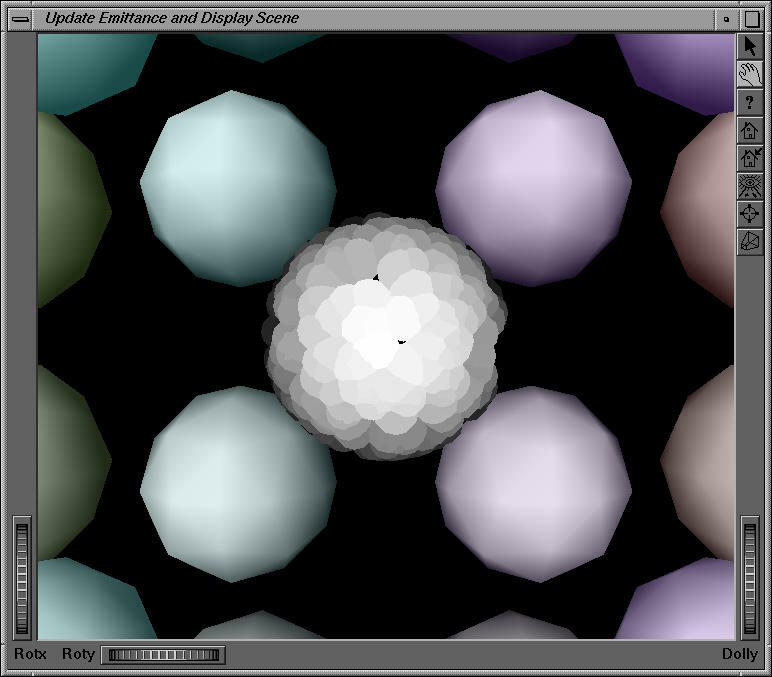 A sphere is shown, with it's surface having a cosing emittance distribution. 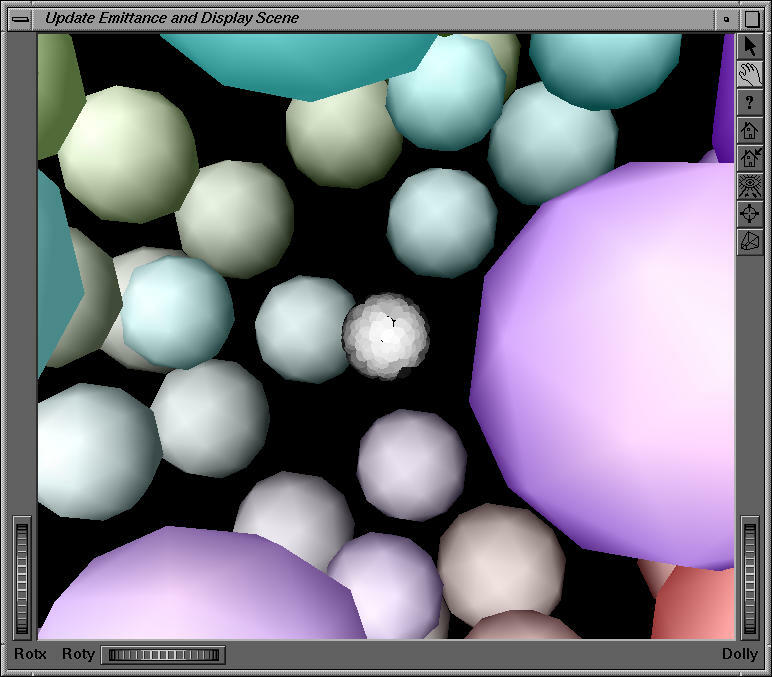 The distribution updates when the scene is rotated, plus the samples on the sphere move about. Superimposed over the scene is a scene read in from a file. 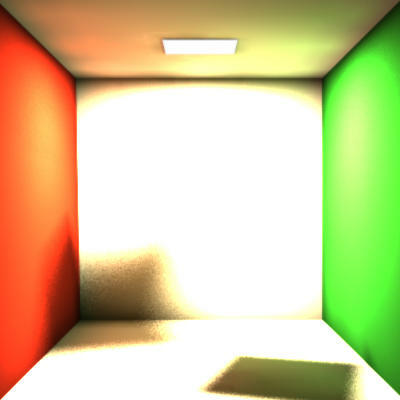 That scene was created with the supplied code. Why? Because I felt like it and because it was part of the assignment. I spent a disproportionate amount of time just writing the code to produce the sample scene to read in. I guess I got distracted. quick.cxx - Code to create the sample scene. I also played around with BMRT. 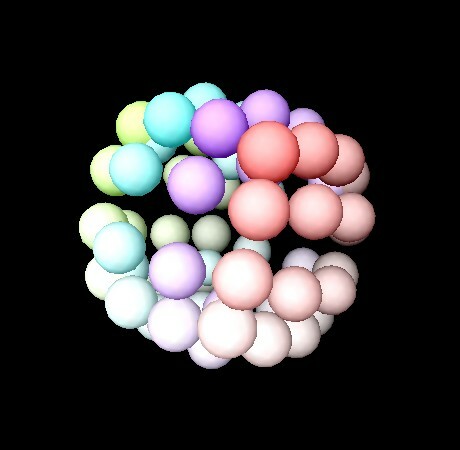 This was a really nice ray tracer. 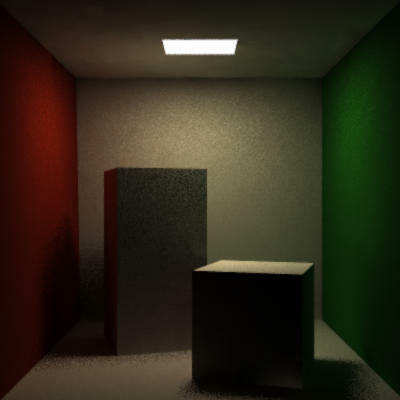 It says it has Photon Mapping and that's correct, but after several hours of trying to make a caustic through glass I come to the knoweledge that the photon mapping only works for specular REFLECTION and not TRANSMISSION. Doh. So my attempt failed. Here's the sad results.